Other allergens present in some of the ice creams include soy, coconut, sesame, walnuts, peanuts, and tree nuts. Carefully read the label before consuming. 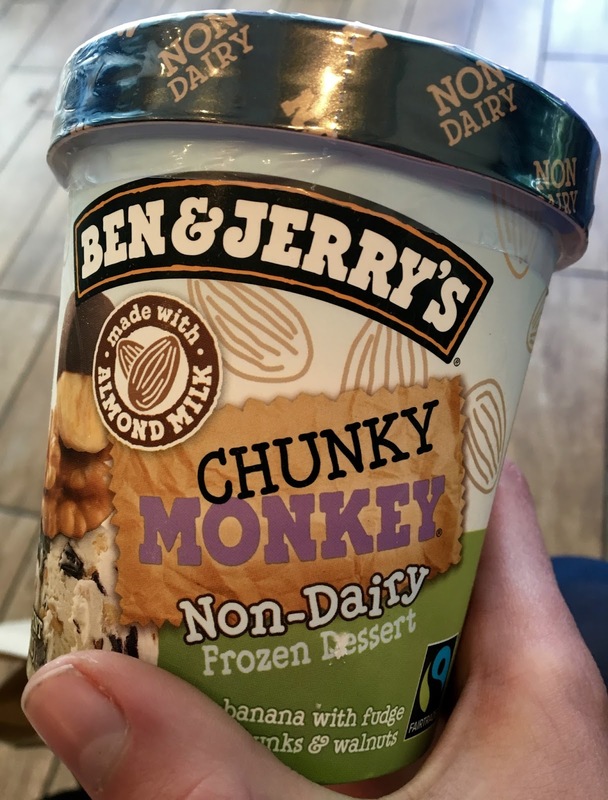 Of all of the flavors, the only without gluten-containing ingredients is the chunky monkey. Narrowing the field down to one, I was happy that the one safe flavor was one whose flavor I knew I was predisposed to like. Bananas? Walnuts? Chocolate? Count me in. Diving in to the pint, what first struck me about the ice cream was its creaminess. Smooth and effortlessly scoop-able, the ice cream was definitely spot-on texture-wise. I loved how the banana base ice cream was velvety smooth and not too overpowering in flavor. Chunks of fudge and walnuts populated every spoonful, making this vegan ice cream connoisseur incredibly happy. 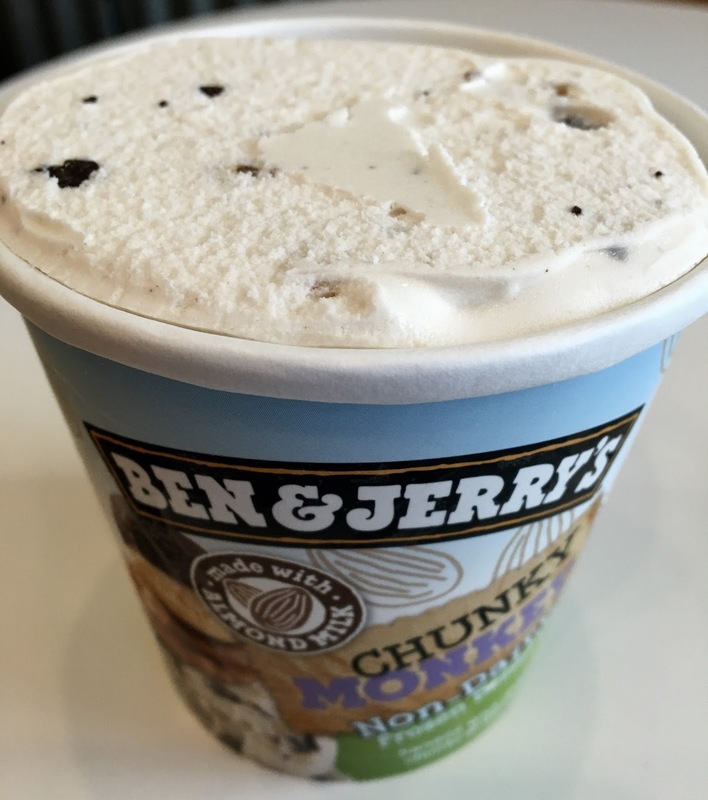 When I could eat Ben & Jerry's "regular" ice cream, the chunks are what sold me, and this ice cream certainly delivered in that regard. The ice cream was truly decadent and indulgent. Easily it totally ups the ante for all of the other non-dairy ice creams out there, and is a stiff competition. While $8/pint at the Scoop Shop was outrageously expensive, I must admit that it was worth it for the rare treat and first taste of Ben & Jerry's in at least five years. Those of you who don't want to break the bank, I recommend going with friends and splitting the pint. Going forward, I sincerely hope that Ben & Jerry's continues to expand their line of vegan ice-creams. There's certainly a market out there, and I hope future additions to the collection are free from gluten and gluten-containing ingredients. 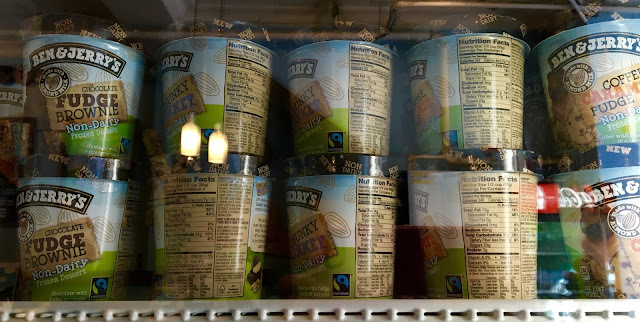 Ice cream pints can be found at Ben & Jerry's Scoop Shops, as well as local grocery stores (pending roll out throughout the spring). I do know that Wegmans in the DC, Maryland, and Virginia area are slated to carry the pints. This post will be updated when I confirm sightings around the Baltimore area. If you could make any flavor of Ben & Jerry's ice cream dairy-free, which would you choose? Comment below! Me too! I brought home the Caramel Almond Brittle and it was divine. BUT it had malt. Sad panda! Bummer! It's exhausting trying to manage multiple allergens/restrictions. Do you happen to know if the newest ones they just released are gluten-free? I chatted them and they didn't seem to have a very good answer for me. Is there no dairy in the chocolate chunks in Chunky Monkey? The whole ice cream is non-dairy (that includes chocolate chips). 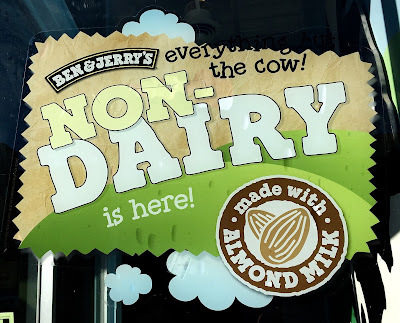 Plus, all of Ben & Jerry's DF flavors are vegan- no eggs, dairy, or animal byproducts. I felt comfortable eating the ice cream but I know everyone has different comfort zones.